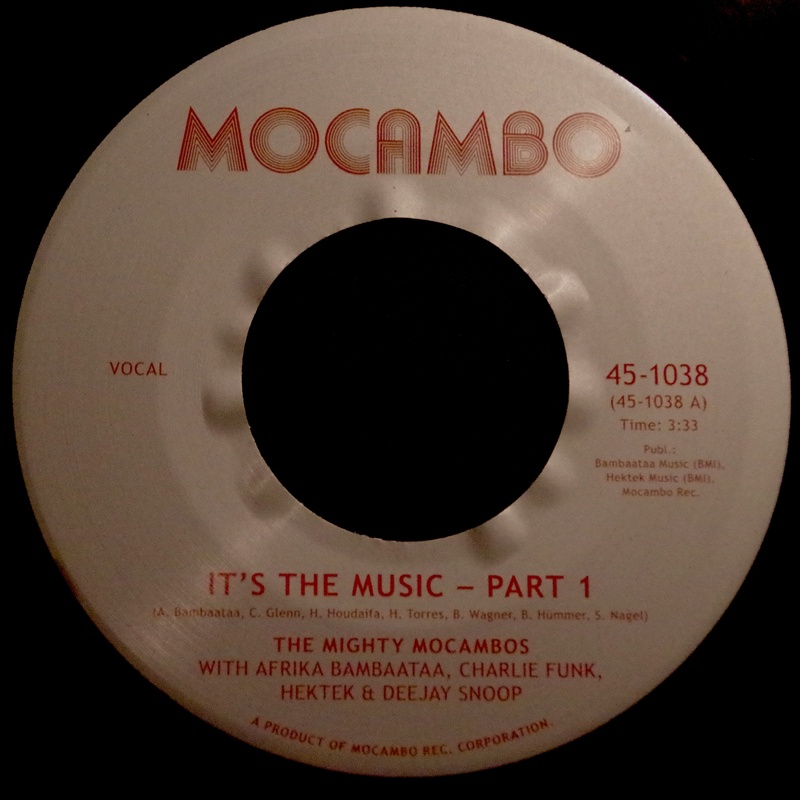 The stunning collabo between the Mighty Mocambos and hiphop-legend Afrika Bambaataa goes into the 2nd round. For the joy of all b-girls and b-boys, the Godfather of Hip-Hop and today’s best heavy funk band present their banging new anthem. 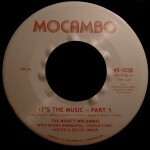 ‘It’s The Music’ brings the sound of early hiphop livebands into present time, with the Mocambos showcasing their skills on a discofied breakdance beat, only topped by the vocal authorities of the Amen-Ra Of Universal Hip-Hop Culture and fellow Zulu Nation members Charlie Funk (aka Afrika Islam), Hektek and Deejay Snoop, the latter providing a trademark talkbox feature. The flip side contains an exclusive instrumental ready to smash dancefloors on its own. 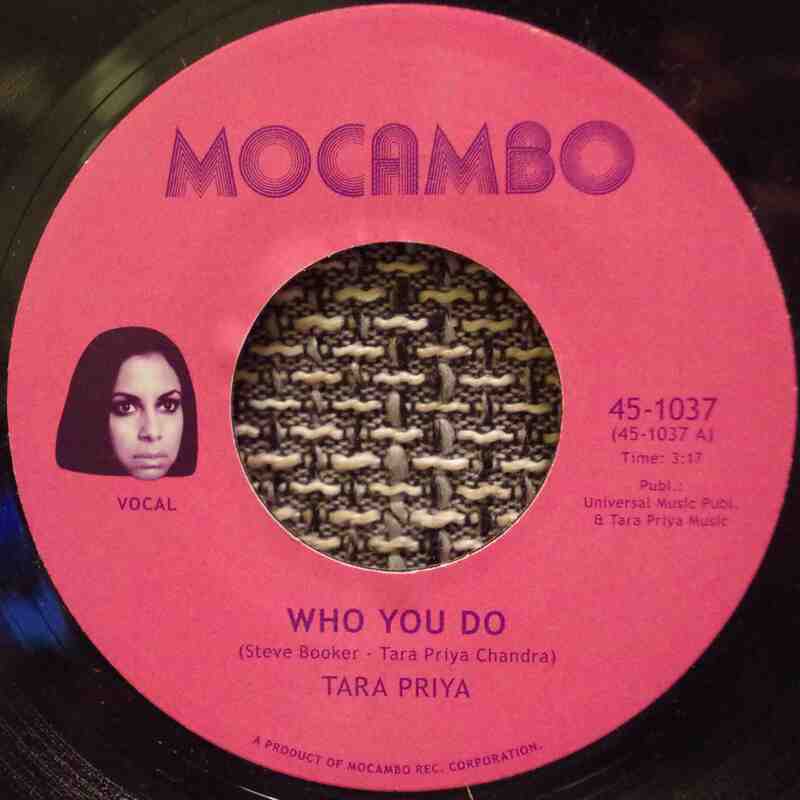 Armed with a voice “you just need to hear” (BBC London) and an irresistible blend of snaps, claps, and golden trumpet peals, Tara Priya combines vintage soul, poetic lyrics, and a dash of pop to provide relief from today’s Auto-Tune avalanche. Sweet and sour, lovely and lovelorn, her story is as distinctive as her sound. “Sass’n’soul, little bitta Go-Go”, says the San-Francisco-native about her music. Things moved fast ever since Tara’s first album on Japanese P-Vine Records was released in 2012 and made #2 on itunes charts. Tara moved to London recently and recorded new material with award-winning producer Steve Booker (responsible for Duffy’s worldwide smash hit ‘Mercy’ and well-known for his work with John Newman, Lisa Marie Presley, Jamie Cullom, among others). 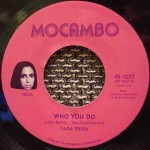 “Who You Do” not only shows expertise in production that we haven’t heard a while, the post-break-up song also gives way for Tara’s distinctive voice and attitude. Both “Who You Do” and the second A-side “Rollin’ (off her first album) now see their first, well-deserved limited edition vinyl release. The video for “Who You Do” has already passed the million mark on youtube, so get your copy quick. Ltd. edition. You Got A Tiger? b/w Does The Tiger Got You? 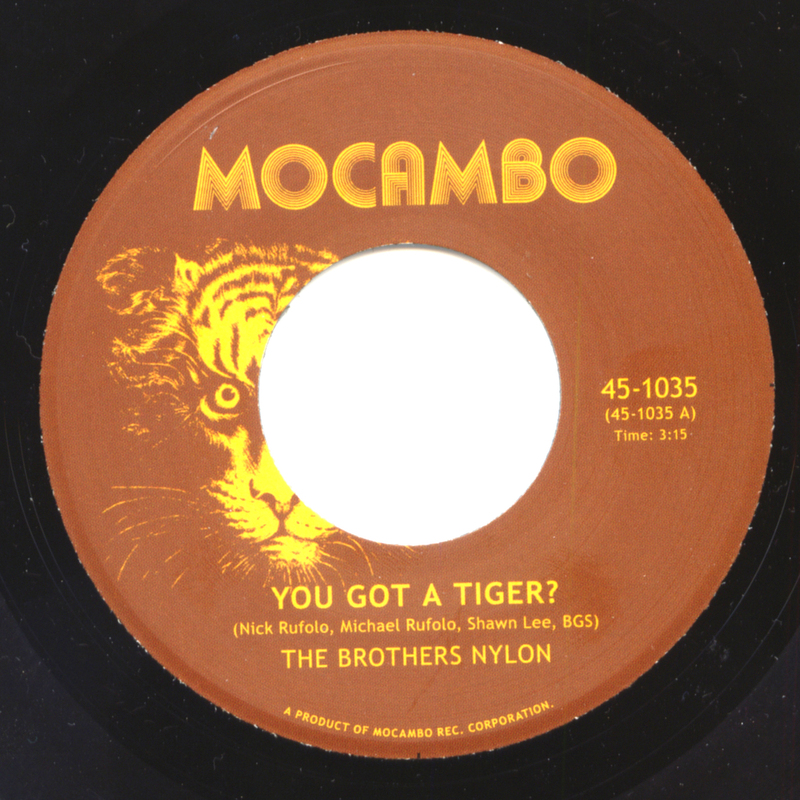 The Brothers Nylon is a transatlantic allstar project set out to make musical adventures. Mike and Nick Rufolo (from NY) collaborate with legendary producer Shawn Lee and Mighty Mocambos’ trombonist BGS (from LON) to create “cinematic type tuneage with the freedom to overdub whatever you want” – tracks were served up hot and fresh off the reel to reel, digitized, and sent across the pond. 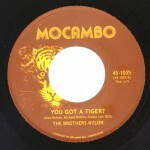 This tiger funk single features two edits of one musical suite, exclusive on this vinyl 45. Reaction Psychotique – Same Old Story b/w Drunken Master – What A Day! 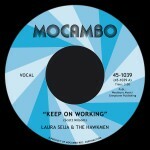 Mocambo Records’ funk journey around the world continues – next stop is St. Petersburg, Russia. 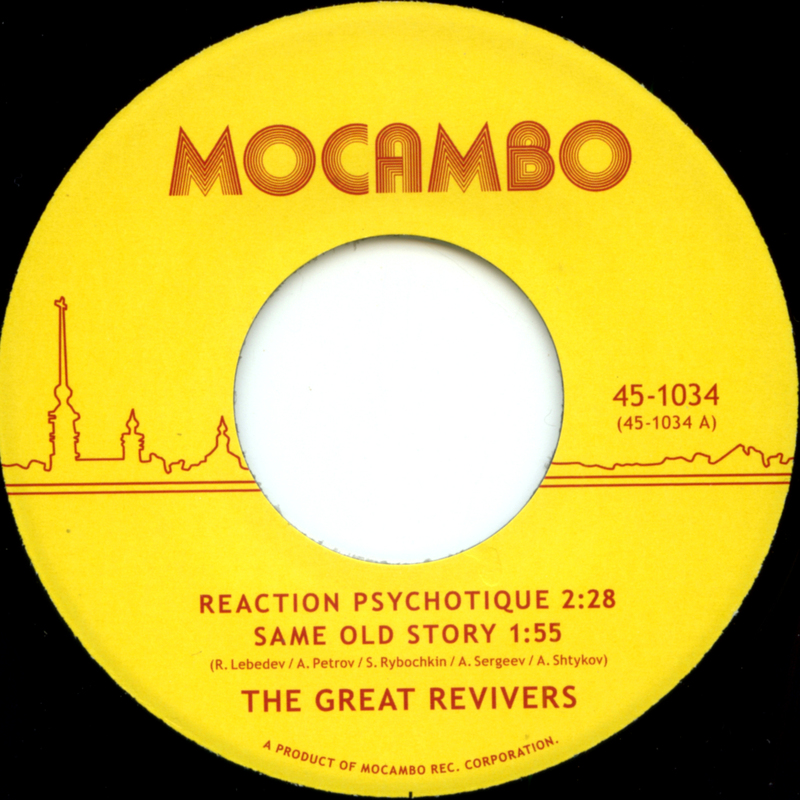 The Great Revivers deliver a sharp mod funk sound, created on authentic instruments from the days of the iron curtain such as the East-German-made Vermona organ. Their debut EP contains four groovy, library-inspired instrumentals with a rhythm aimed at the dancefloor – recorded the old school way with a modern and universal mindset. Limited edition featuring St. Petersburg skyline on label. 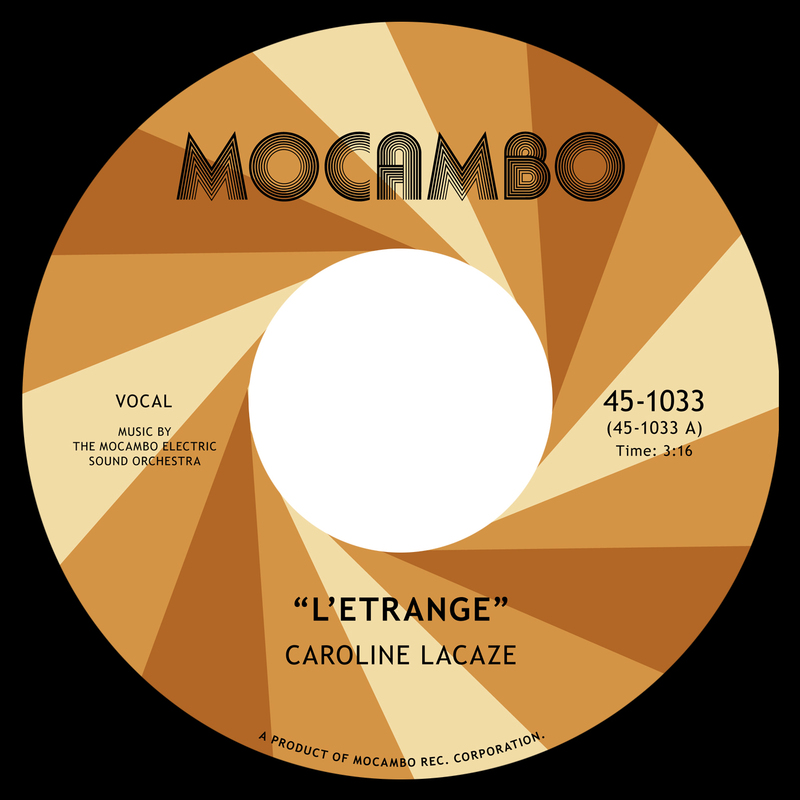 Young French singer Caroline Lacaze – who debuted on the Mighty Mocambos’ album “The Future is Here” and became a regular feature on the subsequent tour throughout Europe – now steps further into the spotlight with an adventurous new 45 of her own. 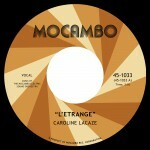 ‘L’Étrange’ effortlessly blends raw soul with captivating French vocals, heavy funk drums and a mystic psychedelic vibe. Features an extended instrumental on the flip side. 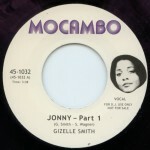 Gizelle Smith reveals a first sample of her newly recorded solo material. ‘Jonny’ showcases her unique voice and her eccentric songwriting style that make her one of the few relevant soul singers of today. 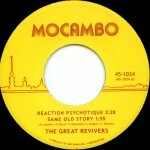 The 45 is available for sale in very limited quantities as most of the edition is for DJ use only. Comes in authentic brown paper sleeve, with DJ-friendly vocal version and instrumental edit. 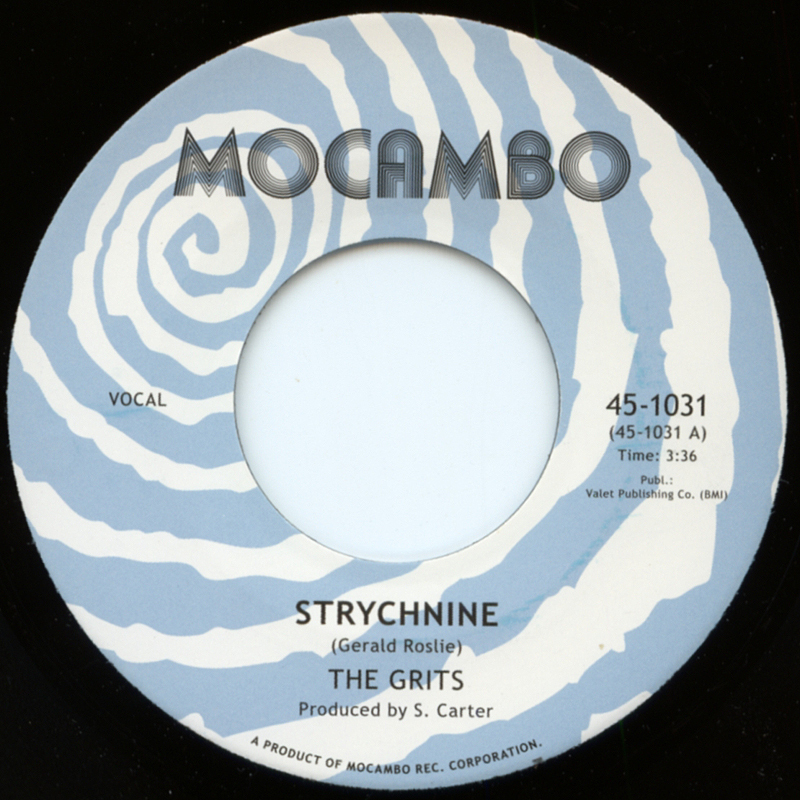 The Grits have been busy for years playing their raw and greasy funk and releasing some of the dopest 45s on labels like Music With Soul, Freestyle & Tropicalia in Furs. 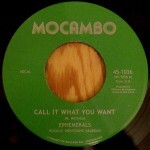 Here they come with a new psychedelic /garage edge and some blue-eyed soul vocal delights. 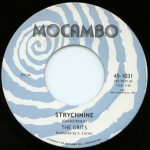 “Strychnine” is a funked-up cover of The Sonics’ proto-punk tune that sounds as if the Meters would jam with Dusty Springfield. The flip side “Funky Mile” is a spaced out original and even further beyond all usual categories of funk music. Brighton-based 11-piece-funk-powerhouse The Impellers return with a hard-hitting double-sider. 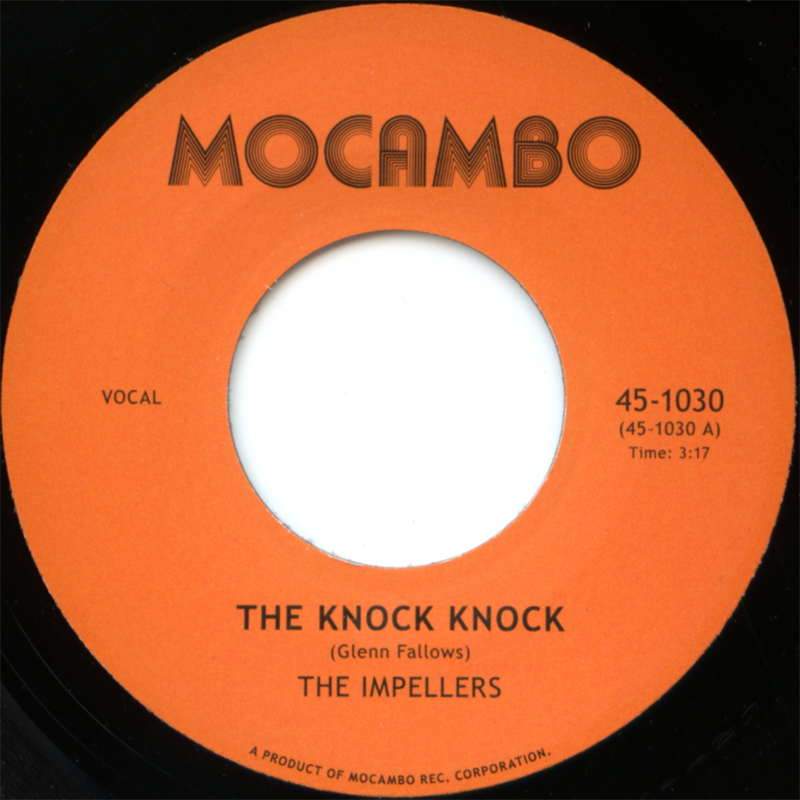 “The Knock Knock” is an authentic piece of heavy soul, spotlighting the gritty vocals of lead singer ‘Lady’ Clair Witcher, while the band busts loose on an instrumental take of the Kaiser Chiefs classic on the flip side, not available on any other format. 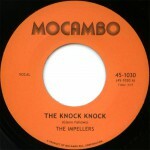 A very apt 7inch to celebrate Mocambo Records’ forty five #30.